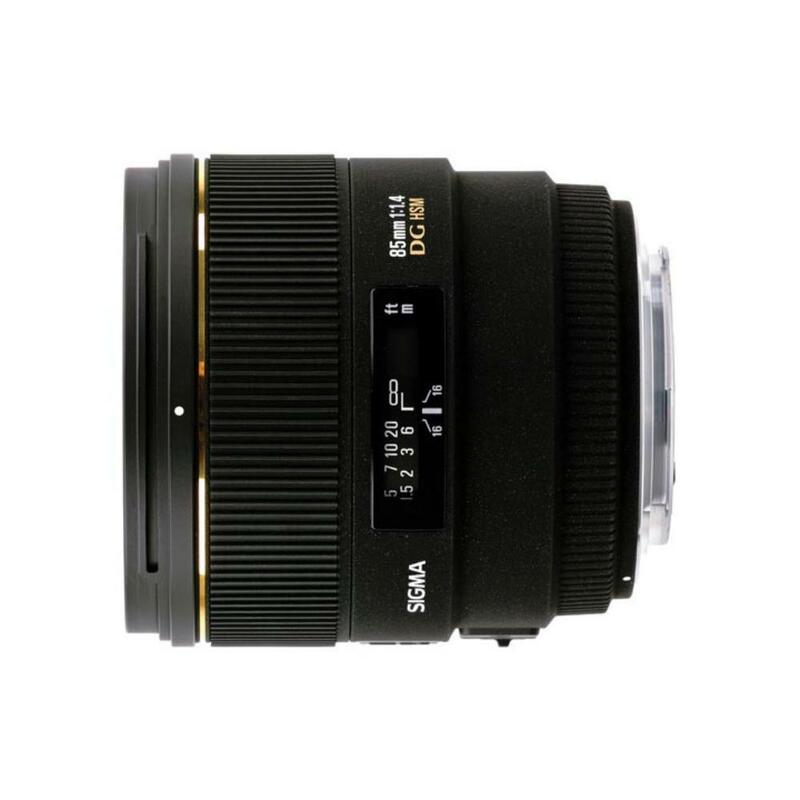 The Sigma 85mm f/1.4 EX DG HSM for Canon is a short telephoto prime lens with a large maximum aperture suitable for shooting in low light. It can be paired with both full frame and crop frame sensor EF mount cameras. 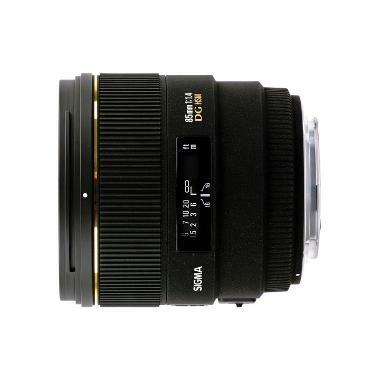 For a newer version of this lens, please see the Sigma 85mm f/1.4 DG HSM Art Lens for Canon. It is ideal for portraits, fine art, still life, and some closer distance wildlife. "Manual Override function is unavailable with this camera. Full-time manual function can be offered. When using a Sigma interchangeable lens, setting the corrections to 'Disable' is recommended, as 'Lens Correction' functions of the camera (such as Peripheral Illumination Correction, Chromatic Aberration Correction, Diffraction Correction, and Distortion Correction) are not supported." "We have found that some Sigma interchangeable lenses for Canon are not fully compatible with the 6D Mark II, 77D, Rebel T7i, Rebel SL2. When attached to these cameras and the 'Lens aberration correction' function is on and these cameras are set to 'Enable' for Live View shooting, then an error will occur. Please set the 'Lens aberration correction' function of these cameras to 'Disable' when using Sigma's interchangeable lenses for Canon."